Head over to Amazon.com to score this Lodge Prologic Silicone Assist Hot Handle Holder in red for only $3.43. 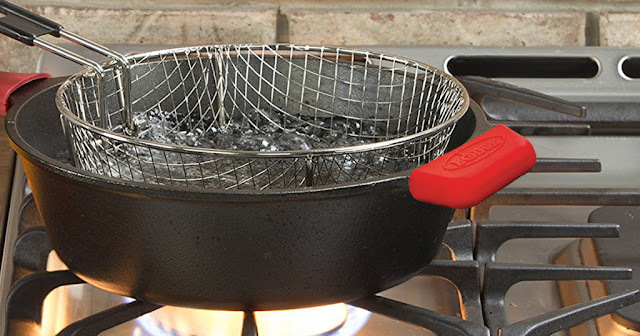 This handle holder will protect your hands from temperatures up to 450° F and provides a secure and comfortable grip when handling hot cookware – it is also dishwasher safe. Need a new skillet? Check out these deals!